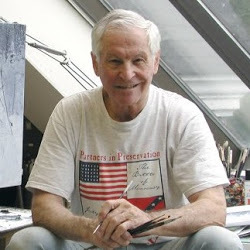 Mort will be the 6th artist honored with the Booth Western Art Museum Lifetime Achievement Award on February 15, 2014 at the Booth’s For the Love of Art fundraising gala. He will join Howard Terpning, G. Harvey, Ken Riley, Fred Fellows, and Glenna Goodacre as the only honorees. Gala weekend will kickoff February 14th with the annual Boots & Saddles collectors party. Congratulations Mort! You're certainly in some fine company!